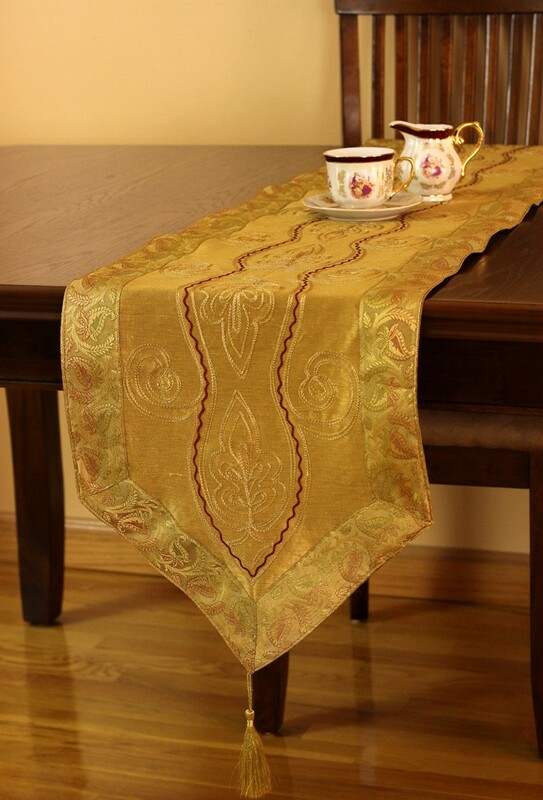 Our Hawthorn Leaf floral embroidered table runner is available in multiple vivid colors and features the vivid Banarasi Saree Border. 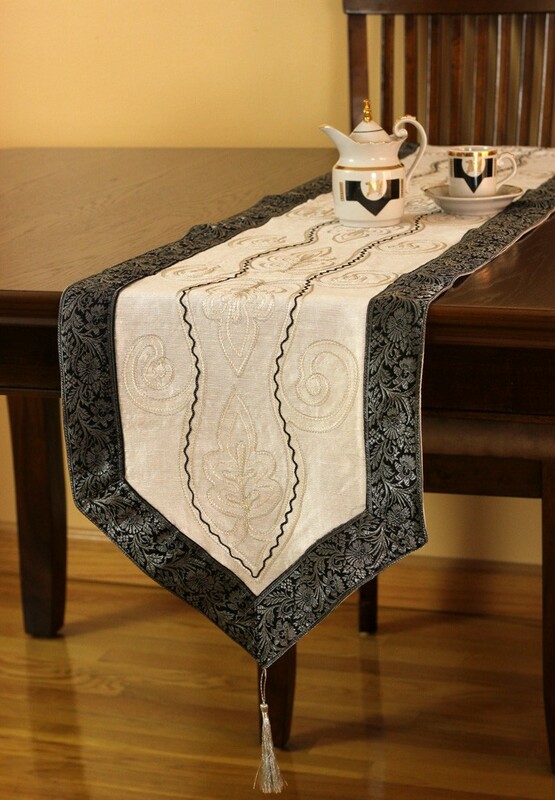 Get caught in the web of floral beauty and fairy-tale like embroidery with the Hawthorn Leaf Table Runner from Banarsi Designs. 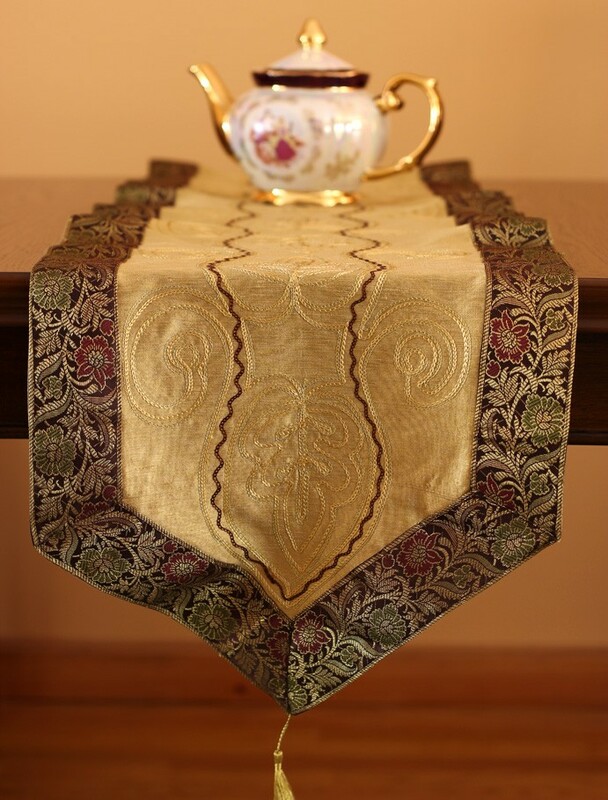 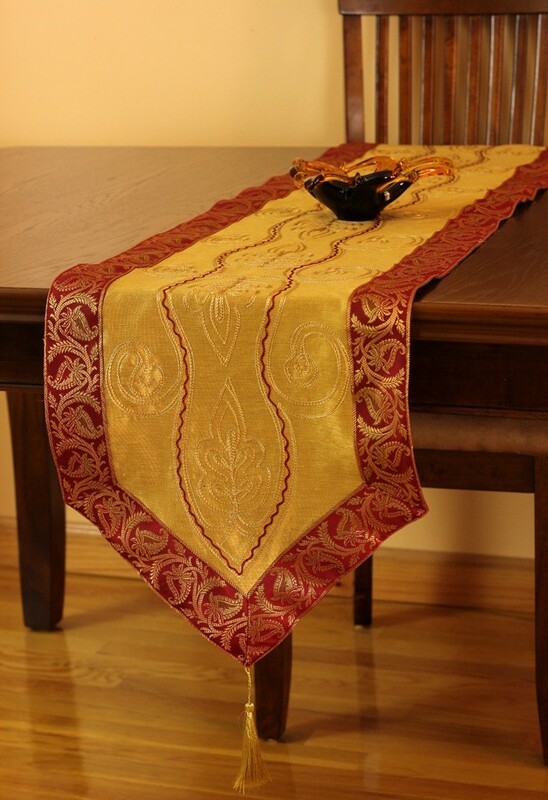 Crafted in India, this table runner is available in 70" x 13" size and incorporates a vivid Banarasi Saree border along with elegant golden tassels.